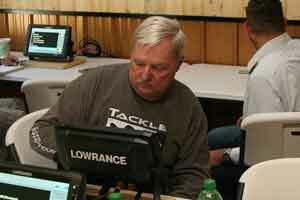 The SONAR BOOT CAMP (SBC) is a full day of in-depth electronics training that will help you put more fish in the boat. If you are tired of beating the same bank that the 10 guys in front of you just hit or want to find the stuff that 90% of your fellow competitors don't even know exists then you have come to the right place. It doesn't matter what brand of equipment you own or your current level of experience. We promise you will pick up more stuff in 1 day at the SBC, than a year of trial and error on the water. and probably some other stuff we just haven't thought of yet!! Class schedule is 8 AM until 3 PM. Lunch is provided. If you are interested in attending and have any addition suggestions for subject matter you would like to see included, please let us know! If you are ready...we are here to help! Register today to start your SONAR Education! ....map of the lake, water depth, and maybe water temp... The next 5% might actually be looking for and marking brush piles and rocks, maybe making a couple of waypoints but are struggling on finding them again. The last 5% are the ones kicking your butts in the tournaments - they have learned to combine their fishing skills, on-the-water experience, and their electronics knowledge. There are always going to be the "locals" on a lake that know every nook and cranny of a given body of water...and they are tough to beat on the best of days. But...they aren't going to tell you their secrets. So you have to bring ALL your weapons to bear...especially if it a lake where you have limited time on the water. Electronics becomes the main weapon in your bag when you find yourself in those situations. So isn't it time you quit going to the lake with an UNLOADED weapon!!!!. Bring your thinking caps and your seat belts! ...because we are going to show you how you can start working on moving to that top group and put more fish in the boat. It does not matter if you are just getting started or a seasoned tour professional, you will learn something new! GUARANTEED! We don't just tell you what buttons to push...we tell you WHY you want to push that button! The manual is great if you already know what you want to do and you are just trying to find out where in the menu system it is located. But, if you are like most of us, we need to know WHY and WHEN do I push this button....and just as importantly...WHY and WHEN I DON"T want to! To use your electronics correctly you have to understand how and why it does what it does. You don't have to be a "rocket surgeon" to use it but knowing the fundamentals helps get you going quickly. 99% of our students say they wish they had attended the Boot Camp BEFORE buying anything. We can review and discuss systems for all budget levels and what you get when you spend more. No button fixes a bad installation! 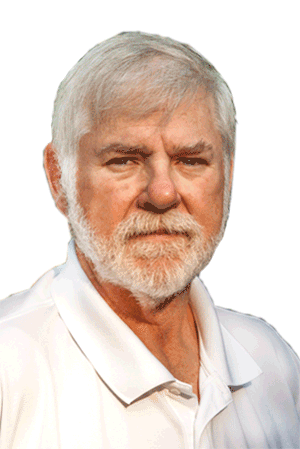 We go through certified best practices on installing and networking your boat. And...we make sure you leave knowing EXACTLY how to set and fix your system. 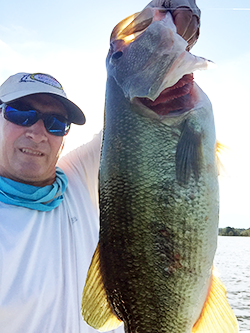 2D SONAR is still the workhorse of today's angler. We teach you exactly how to configure your system for different conitions and to understand how to translate what you see on-screen. We spend time breaking down SONAR Myths and common misunderstandings that even many of the Pros still keep repeating. Sidescan technology is one of the greatest tools available to today's angler...but it can be your best friend or worst enemy! We teach you everything you need to know about this amazing technology and cover advanced techniques utilzing both 2D and sidescan to get you the whole picture! The absolute most critical part of using SONAR is properly interpreting what you are seeing. Lots of variables here and most people find out what they thought they were seeing is completely wrong. Ever wonder why you can't seem to catch most of the things you see on the screen? We show you how to take advantage of your map chips and cover lots of "hidden" features built it to them. We also review several mapping technologies including those available to your home PC and smart phone. Find it, mark it, and go back to it....simple right? Not so fast...we show you the RIGHT way to set up your point to make ACCURATE waypoints you can trust. We cover HOW to make a waypoint...no it's not just pushing a button! Never carry a marker buoy again! These system are basically computers that sit on a boat and you can spend HOURS finding all the brushpiles, rock piles, magic honey holes, etc.... but what if you LOST it all in a single second? Think about it! We can help you make sure it NEVER happens to you. We show you HOW and WHY you want to follow our process to protect your hard work! We even feed you...We get started early and have plenty of coffee, drinks, and snacks throughout the day. Lots of material to cover and we can't have you going hungry! Sonar Boot Camp was invaluable for me. I have fished competitively for 30 years and have even had some success fishing off shore structure. My methods for doing so involved simply reading depth on a sonar and then triangulating points of interest with houses, trees, or other landmarks. Sonar Boot Camp opened up an entirely new way of unlocking underwater secrets. I learned more in one day about electronics than in the previous 30 years of fishing combined. Roy has a simple, easy to understand method of explaining how your electronics should work for you. I found out very fast that I really have never understood or used properly the investment I have in my electronics. From proper set up to practical tools, Wacky Riggers will have you dialed in after one day of class better than you have ever been before. My time in Sonar Boot Camp has re - energized my fishing and I am enjoying more than ever the art of map study, ledge graphing, and fully utilizing the tools we have available if we will simply take the time to set our stuff up right the first time. I took what I learned, brought it home, and have put it to immediate use in finding new off shore waypoints that will pay dividends in tournaments to come. This past Saturday I even caught my biggest bass of this year on an underwater point I found with the “Wacky Riggers System”. Do yourself a favor and attend a Wacky Riggers Sonar Boot Camp!